Suneva Medical, Inc., a privately held aesthetics company, recently announced that the U.S. Food and Drug Administration (FDA) has approved the dermal filler, Bellafill®, for the treatment of acne scars. Bellafill® represents a significant clinical advancement as the only filler on the market approved for this disfiguring skin condition. Acne is the most common skin disorder in the U.S., affecting 40-50 million people and up to 95% of people with acne may go on to suffer from scarring. Bellafill® was studied extensively prior to its FDA approval and proven to be safe and effective for the correction of moderate to severe, atrophic, distensible facial acne scars on the cheek in patients over the age of 21 years. In an independent study, more than 70% of respondents felt their acne scars negatively impacted their self-confidence, with 92% indicating self-confidence would be restored or improved if their acne scars were healed. 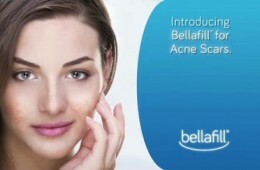 To help treat acne scars, Bellafill® adds volume to the skin to lift and smooth out depressed acne scars to the level of the surrounding skin. The long-lasting treatment is a simple, in-office procedure with minimal to no downtime. Dr. Sardo has used Bellafill, formerly known as Artefill, for over 10 years. Results have been consistent and lasting. A simple skin test is performed prior to treatment. The procedure is a simple office treatment giving immediate correction with minimal to no downtime. Call us if you would like more information, 858-452-6226.